The old ancient city of Alexandria in Egypt was founded by Alexander the Great, home of the great legendary lighthouse and the birthplace of Cleopatra. The history of the city also tells the story of the lost library of Alexandria. 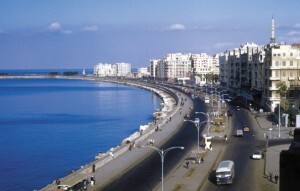 If you take part in the tours of Alexandria you would learn a great deal of Egyptian history. Alexandra tours could be made on foot, by cab, bus or by using the city´s antiq trolley system. No visit to Alexandria should be done whitout testing the trolleycars that dates back to the 1800th century and is the oldest in Africa.